The Playback Wing 4, with its evolutionary styling is equally at home next to a console or as part of a Hog 4PC system. 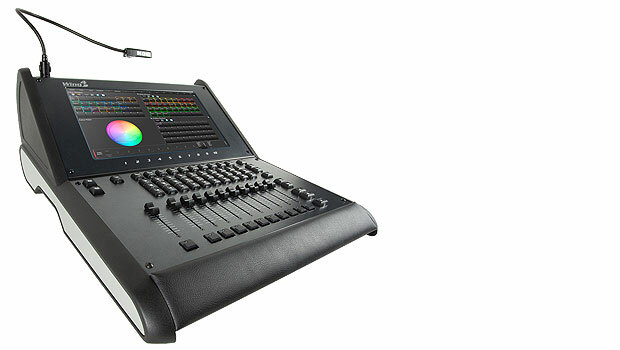 It provides 10 additional faders plus one Grand Master, all motorized, for the Hog 4, Full Boar 4, Road Hog 4 and Hog 4 PC software. It uses the same high quality controls as found in the Hog 4 range of consoles, ensuring responsive and reliable operation. One Hog LED desk light is supplied, fully dimmable and software controllable.